While the Chancery Clerk for Tallahatchie County also functions as the County Recorder, that office only handles property and divorce records, while the Circuit Clerk office handles marriage records, and the Vital Records division with the State Department of Health maintains birth and death records. All of the above records are listed from the early 1900s to the present. The Chancery and Circuit Clerks are both located in the county seat of Charleston, MS, and the DoH's Vital Records Division is in the state capitol of Jackson, MS, with all three offices open Monday through Friday during normal business hours. The Chancery and Circuit Clerk's offices provide copies of records from applicants in person at their office locations, and the Vital Records Division offers in-person service, along with over the phone, through the mail, and online. 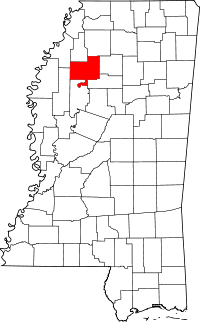 Tallahatchie County also has a branch of the MSGenWeb Project which provides online resources and genealogical research materials. Note: Districts have to be searched separately; that changes when public access terminal becomes operational.